Broadway is the term given to a number of large, professional theaters located in the theater district of New York City. It is also the name of a street in Manhattan, which runs through the theater district at one point and has many of these theaters set on it. 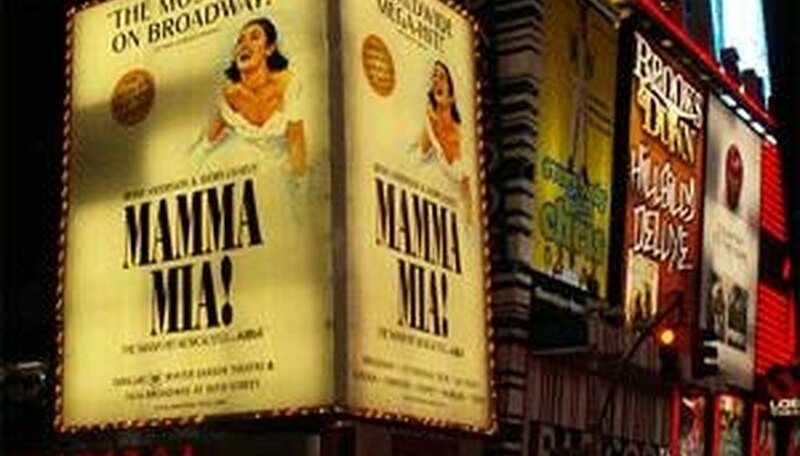 Broadway theater productions are very popular attractions that sell about $1 billion worth of tickets every season. Broadway productions typically have the same scheduling periods among all theaters. Performances occur at around 2 or 3 in the afternoon for matinee performances, and around 8 at night for the main evening performance, Tuesday through Saturday. There are 40 Broadway theaters in total, with 39 located in the theater district. All of these theaters are considered some of the largest in the United States, with a minimum of 500 seats in each. Broadway plays and musicals are produced with no set run times, but instead will continue to run as long as they are popular and bringing in enough money to satisfy investors. Currently, the longest running production is "Phantom of the Opera," which opened in 1988 and continues to run to this day. The Tony Awards is an annual ceremony that celebrates Broadway. Since Broadway is so limited, however, the awards have been dismissed by some as irrelevant, though they continue to be the biggest award show in American theater. Tourists are a primary audience of Broadway acts. Every season, approximately 12.5 million people attend Broadway shows.